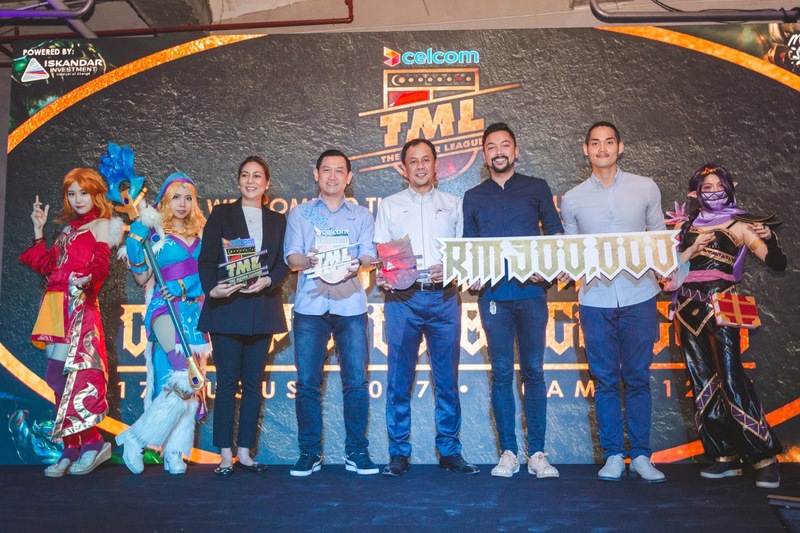 KUALA LUMPUR , 17th August 2017 – The Livescape Group is all geared up to collaborate with Beatnation, with the support of Iskandar Investment Berhad (IIB) , to present the highly anticipated DOTA 2 tournament , The Major League , Championed by Celcom on 20 October to 22 October 2017 – as announced this morning during the press conference held at Makespace , Kuala Lumpur . 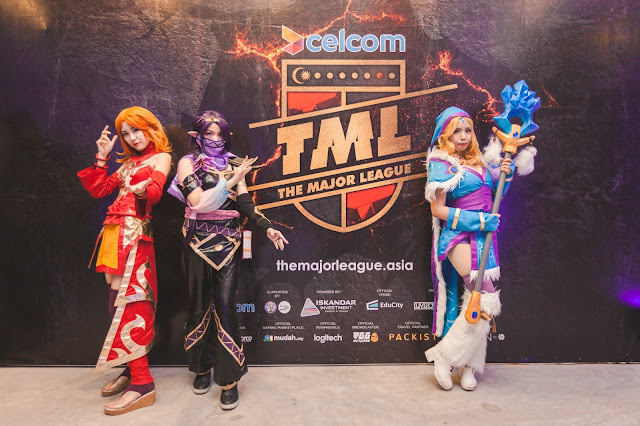 The Major League , Championed by Celcom , to be held at EduCity Indoor Arena , Iskandar Puteri , is the first initiative by Iskandar Investment Berhad (IIB) to establish Iskandar Puteri as the Esports hub of Southeast Asia. There will also be The Major League Qualifier, which will reveal the Malaysian team who will go up against seven global teams to nab their share of the coveted RM300,000 prize . The current announced teams are Ehome of China Evos of Indonesia Clutch of Philippines and MVP Revolution of Kyrgyzstan while the three remaining teams will be announced soon . “Esports is growing tremendously in the region and Malaysia with all its cyber infrastructure is perfectly positioned as a hub in Asia . We anticipate strong participation from the gaming community across the ASEAN region which will indirectly boost tourism . Esports will also be featured in the upcoming Asian Games 2018 and Malaysia Major Events hopes to see more of such events coming to our shores and is proud to support The Major League , Championed by Celcom for the very first time” Said Tony Nagamaiah , General Manager of Malaysia Major Events . The tournament , poised to be an epic battle on the DOTA 2 game platform , seeks to find talented Malaysians to join the ranks of global players . 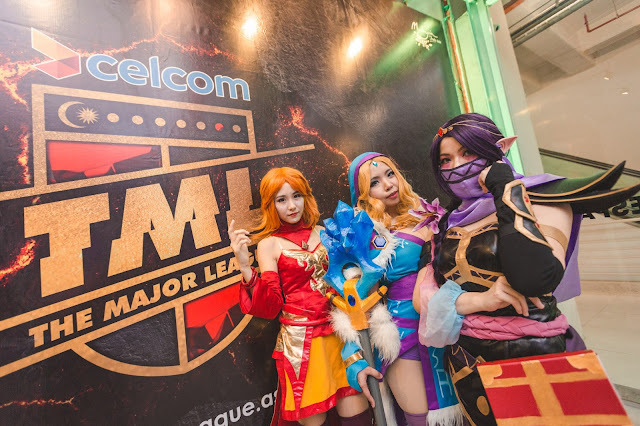 The Major League Qualifier will hold the qualifying rounds at participating cyber café outlets such as Apple Dream Net , Orange E-Sports , Blitzone , Digital Fortress , and The Pantheon while The Major League Qualifier Final Round will be held at the Academy of Esports in Afiniti Medini , Iskandar Puteri . During the electrifying event filled with flamboyant cosplayers , the organisers revealed that tickets for the The Major League , Championed by Celcom are now available to be purchased via the official website , www.themajorleague.asia . The Major League , Championed by Celcom is powered by Iskandar Investment Berhad and proudly sponsored by Celcom Axiata Berhad , EduCity , Mudah.my , Omen by HP , Logitech , EGG Network , Warlord , and Packist and is proudly supported by ALIFE and Malaysia Major Events (MME) , a division of the Malaysia Convention & Exhibition Bureau , an agency under the Ministry of Tourism & Culture , Malaysia .